Nadia Rajab, PhD student with the Centre for Stem Cell Systems, is first author of a paper overviewing current methods for generating white blood cells (macrophages) from human pluripotent stem cells. This review paper constitutes the first chapter of Nadia’s PhD thesis. Macrophages, a cell of the immune system, play important roles in the body both in health and disease. Most of our understanding of how macrophages function has come about through studies using animal models including mice. Recently, opportunities to develop models that are relevant to human genetics has come about through the use of human pluripotent stem cells. 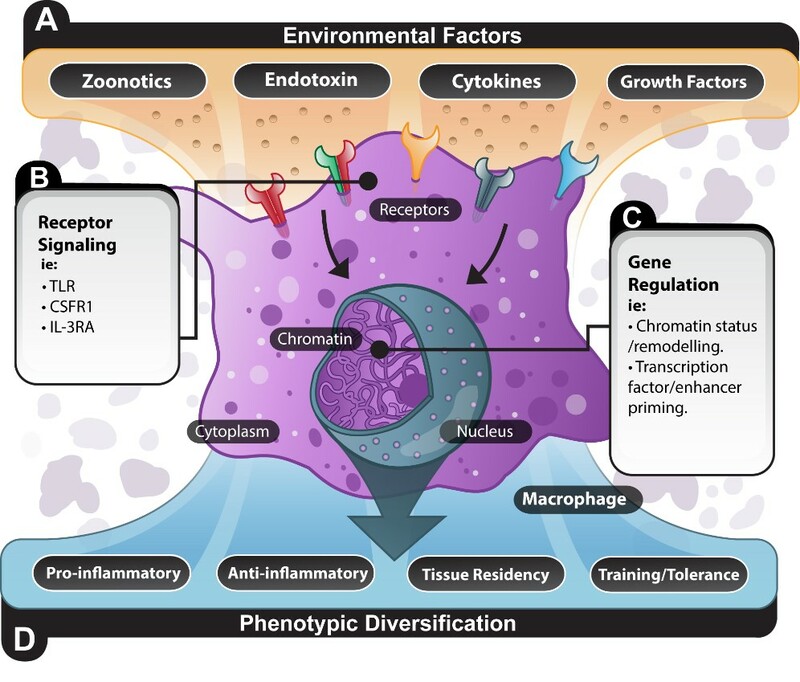 Nadia’s review article, 'Designer macrophages: Pitfalls and opportunities for modelling macrophage phenotypes from pluripotent stem cells', recently published in Differentiation, describes the current strategies that are used to make macrophages in a dish. ‘’The cells we make in a dish respond to what they encounter and are greatly influenced by the instructions we give them. Therefore, greater consideration should be given to the instructions we provide’’ said Nadia. As the authors describe the potential pitfalls our current methods may have on the macrophages that are made in the lab, they also highlight opportunities. It is suggested that taking advantage of the influence of factors on cell function may enable the directing of cells to a preferred specialised function. Nadia’s PhD project is a collaboration between the University of Melbourne and CSIRO, two leading institute in the field of stem cell science. Early this year, Nadia was awarded a CSIRO Synthetic Biology Future Science Platform scholarship for her project. Dr Rutar’s knowledge is in retinal cell biology, age-related macular degeneration with expertise in molecular biology techniques as well as high-throughput sequencing and gene therapy. Matt was recently awarded a Department of Anatomy and Neuroscience Department Research support grant of 20,000 for the generation of preliminary data to better understand the role of macrophages in the progression of retinal disease. Professor Wells is experienced in stem cell sciences, genetics, genomics and bioinformatics. She is a lead participant in several major international consortia including the FANTOM consortium and therefore has expertise in gene discovery and characterization. Furthermore, she has extensive experience in both stem cell biology and innate immunity. Dr Laslett has extensive experience in human pluripotent stem cell biology research and stem cell differentiation. He would provide invaluable knowledge required for the success of this project.